Bowhunting or archery, a sporting discipline practiced chiefly for game animal hunting has remained consistently popular since the medieval ages. No wonder then that 21.6 million Americans participated in bowhunting in 2016, a sharp rise from the 18.9 million individuals who took part in 2011. 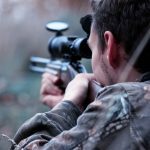 However, you’d need to practice a lot for honing your bowhunting skills which in turn calls for using the appropriate equipment. 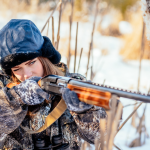 For target practice, you’ll essentially need a bow, single pin bow sight, bow scope and arrowheads or broadheads. I’ll be discussing broadheads in this piece with a special emphasis on what should be used to screw on broadheads. 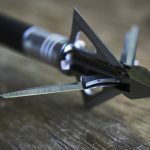 2 What Should Be Used to Screw on Broadheads? It is the broadheads attached to the projectile shaft that makes the kill. 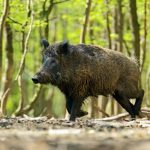 So you should use broadheads that are razor sharp, companionable with your bow, and capable of deeply piercing into the quarry. Make use of a quality wrench for screwing on the broadheads firmly on the arrow shaft. Loosely fitted broadheads could be recipes for disasters, causing grave injuries. Broadheads can be classified into three broad categories, viz. removable or detachable blades, fixed broadheads, and expandable or mechanical blades. Detachable Blades: Detachable broadheads are designed especially so that the hunter can replace them when the arrowhead becomes blunt or gets damaged. With a removable broadhead, you do away with the blade part and not the whole piece. The new broadhead is fitted on the ferrule. 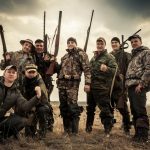 Fixed Blades: Old-school or traditional bow-hunters have a fascination for fixed blades that have a broad profile. Fixed blades are normally pasted onto the shaft using superglue and are best compliable with bows requiring less drawstring force. Mechanical or Expandable Blades: Expandable broadheads are typified by their retractable and opening up functionalities. In other words, this type of broadhead retracts when you release the shaft and open up the moment it hits a game. 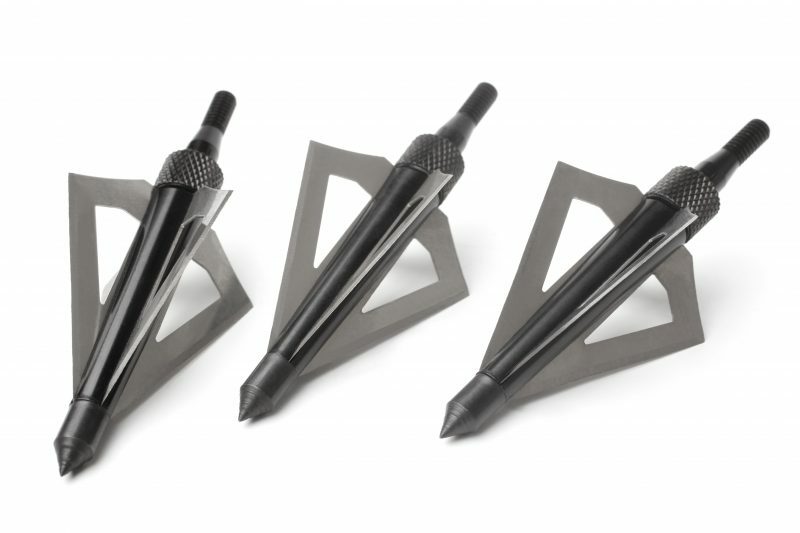 Mechanical broadheads are recommended to be used together with bows that are heavier compared to standard ones. 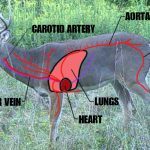 The weight of a bow that is suitable for shooting an expandable broadhead is usually 50 pounds. Only a heavy bow can deliver the energy and momentum needed to open up the mechanical arrowhead during contact. Riveting or screwing in the broadhead to the shaft is a very effective way of securing the same firmly. For screwing in, you’d need a broadhead wrench and a specially designed screw to attach the arrowhead to the shaft section. The product manufacturer usually lists Screwing-in instructions. You simply need to abide by the steps to complete the job effectively. Tying the broadhead using a nylon rope or ring is a very crude method as the blade piece might come unstuck. Gluing your broadheads to the shafts is also a very efficient way of attaching the former with the latter. You can either use the hot gluing or cold gluing technique, and both have their advantages and drawbacks. A good number of bow-hunters and archers make use of hot glue for affixing the broadhead to the arrow shaft. This technique continues to be very popular owing to its ease of application and effectiveness. Hot glue is best used with fixed broadheads, and the same can be detached via heating. So, if you are thinking of working with different varieties of fixed broadheads, you can take advantage of hot glue. The best advantage of applying hot glue is that you can detach the arrowhead whenever you wish to, with remarkable ease. However, the risk of damaging the broadhead is always there while you heat the same for detachment. So, you should be very careful while attempting to unfasten the broadhead via heat application. To minimize possibilities of damage, make sure that you apply a heat source that does not get too hot. Also, use a low or mild heat source when unfastening broadheads that do not have ceramic coating. Avoid using a torch for heating the broadhead. Rather use a spirit lamp to be on the safe side. You can also attach the broadhead to the shaft by means of a commercial adhesive or superglue. You follow the same process for applying cold glue as you do hot glue. However, the cold glue solidifies almost instantaneously after setting in. Nevertheless, it takes a while for the glue to settle before solidifying. Of the three different techniques for fastening the broadhead to the shaft, the tying method should never be attempted. That leaves you with the screwing-in and the gluing methods. The screw-in process is complex and you’d have to be a seasoned bow-hunter to make the most of this technique for a perfect attachment. In the first step, you fit an adapter onto the shaft that acts as a bridge or platform between the shaft and the broadhead. The adapter helps you to attach the arrowhead with greater firmness. Alternatively, you can fix the broadhead without having to use an adapter. Regardless of whether you are attaching the broadhead directly or using an adapter, clean the section which will link with the shaft. Next sand both the surfaces of the shaft and the broadhead with steel wool or sand paper. Cleanse the sections that will cling to each other with nail polish or alcohol. Make sure you clean arrows (irrespective of whether these are of wood, carbon, and aluminum) and shafts thoroughly prior to gluing them together. Gluing the broadhead with the shaft is the most important step. You can use either cold or hot glue or even super glue. When it comes to using hot glue, you’ll first have to heat it up using a spirit lamp. Do not use a torch for heating the glue. To prevent burning your fingers, apply the melted glue onto the broadhead using an applicator or gun. Once the glue cools down on the broadhead, align it using pliers. As for the cold glue or super glue, you can smear it directly without having to heat it up. The final step requires you to align the shaft with the broadhead so that the entire arrow is perfectly straight. You will have to ensure that both the pieces are in alignment prior to gluing while gluing, and after the step is complete. Loading the arrow on an aligner and thereafter spinning it will let you know whether the same is aligned. Always buy the best quality of broadheads that have a long shelf life. Make sure you screw them tightly to ensure they pierce the target.